Major League Baseball has ruled that the Tigers did not intend to strike the home plate umpire with a pitch that him him in the shoulder and knocked him to the ground. 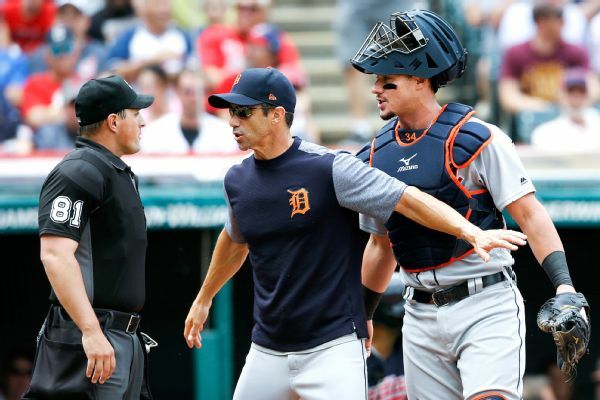 Major League Baseball is reviewing an incident in which an umpire got hit by a pitch that a catcher missed in a game between Detroit and Cleveland, a person familiar with the situation told The Associated Press. 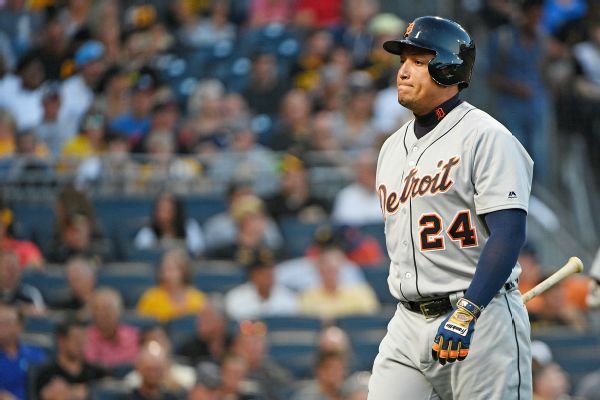 First baseman Miguel Cabrera left the Tigers' game in Colorado on Monday night with lower back tightness. 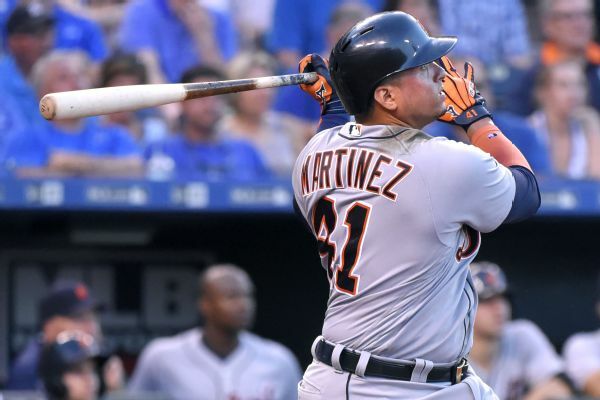 Tigers DH Victor Martinez is out of the hospital after suffering from a rapid heartbeat, and he'll stay in Detroit while the team begins a West Coast road trip. Detroit DH Victor Martinez spent the night in a hospital after leaving Thursday night's game against the Rays with dizziness and a fast heartbeat. The six home runs of at least 440 feet are the most on one day this season. Check out the details. 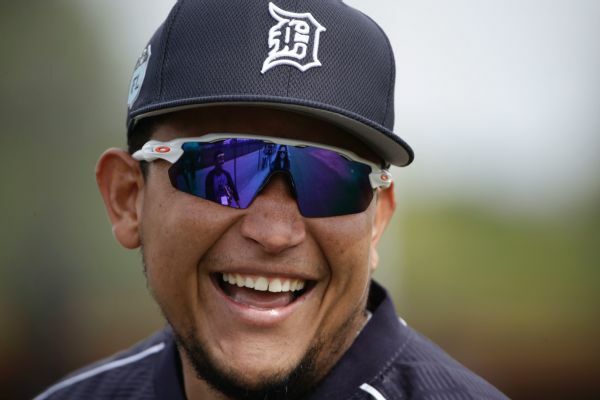 Tigers first baseman Miguel Cabrera, who hasn't played since April 21 because of a groin injury, has been activated off the DL.